A Boulder-based cycling outfitter that provides technology, tools and training to help cyclists improve performance and comfort on their bikes. Fusionbox developed a piece of custom software for Retül to help users customize their bikes for their body with different parts. When Retül wanted to add even more features to this software, they came back to Fusionbox for our expertise in software programming. 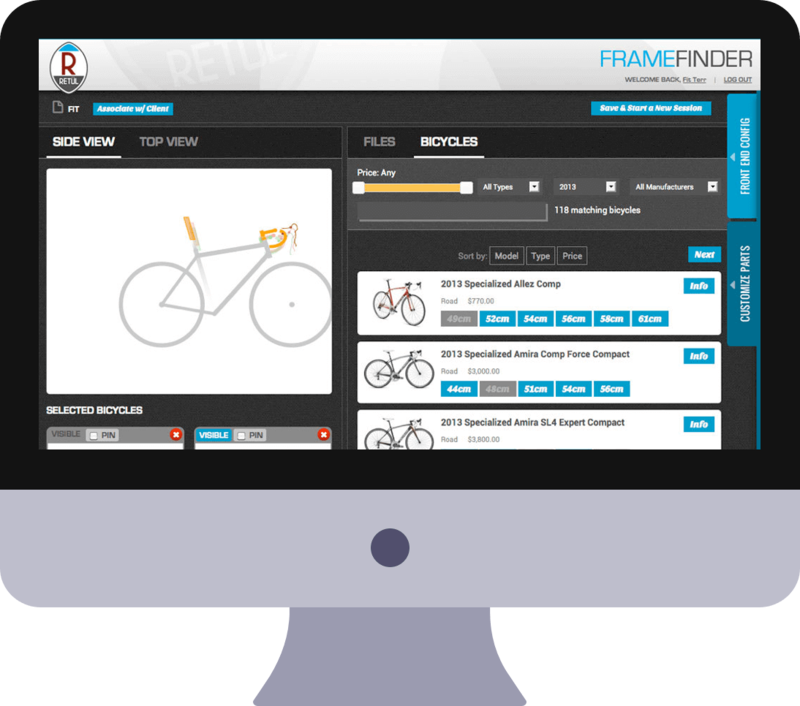 After users have been sized with Retül's measurement equipment, this custom web application reads those measurements and makes suggestions of various bike frames. Each aspect of the bike is entirely customizable by the user, from parts to angles. All changes are represented in real time with an animation, so users can see exactly what their custom bike will look like. Retül chose Fusionbox for the redesign and development of their website, as well as both iterations of this custom web application. All development and design was done in-house by the Fusionbox team.